Useful for: those who needs money and a healthy body. It enhances the male power. This Rudraksha is related to Six Darshan. The person who wears this Rudraksha after proper Sidhhi ( method of purification & charging with Mantra) will have Darshan of six Deva in his Body. This Rudraksha give the knowledge of Soul to the wearer. The person who wear this Rudraksha become calm and quite like the Moon. It keeps the anger, jealousy, excitation under control in the body of the wearer. This Rudraksha increases the nutritious elements of the Body resulting in the creation of new cosmic powers( Devi Shakti). This Rudraksha is the provider of results for the hard workers and increases the sperm. It provides success in all assignments. 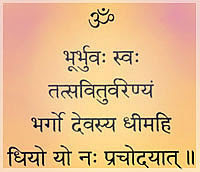 Note: Above details are taken from ancient handwritten text and Guru Mukha. The description is seen in the deep meditation of Lord Shiva by Lord Datta Treya. Six faced Rudraksha is the center of the power of Lord Shiva’s second son, Kumar Kartikeya. It gives learning, wisdom and knowledge and increases will power. Moreover, it saves us from the worldly sorrows. A combination of four face Rudraksha and six face Rudraksha increases the mental power of the wearer amazingly. It is very good for company managers, businessmen, journalists and editors etc. 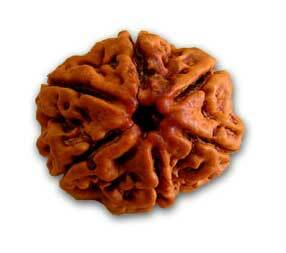 Also Six Mukhi Rudraksha governs Genital organs.